For the first time ever, I listened to an audiobook, and while I’m not sure it’s something I’ll do regularly, it was an efficient way to “read” a book while driving to Chattanooga, then Murfreesboro, then back home over the weekend. I chose The Mermaid Chair by Sue Monk Kidd, a book that was awarded all sorts of accolade when it was released in 2005. 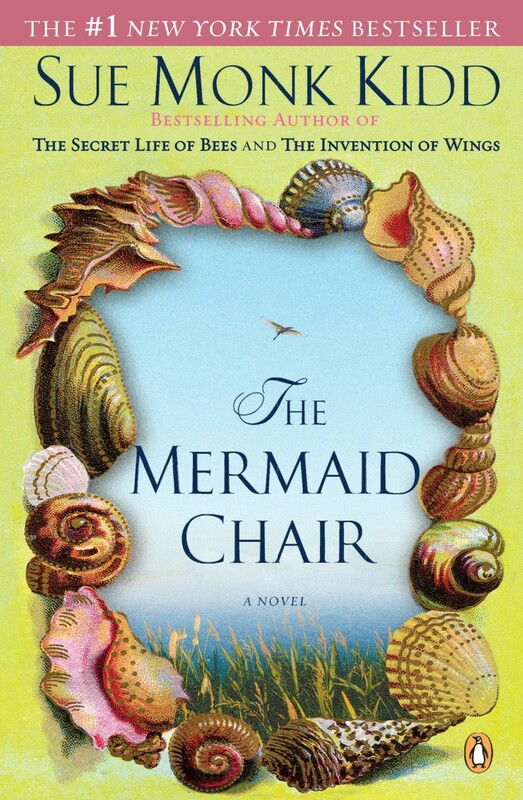 I was already a fan of The Secret Life of Bees (published in 2001), and I have used copy of The Invention of Wings awaiting my attention, so I presumed The Mermaid Chair would be a delightful listening option. Jessie Sullivan grew up on an island off the coast of South Carolina with her parents and brother, a seemingly idyllic seaside life with small town relationships and plenty of mystery. There’s even a monastery on the island to keep everyone in check. When Jessie is ten years old, a boat explosion kills her father and, like one might expect, she never fully resolves the tragedy in her mind. Eventually, Jessie grows up, moves from Egret Island to Atlanta, marries a psychiatrist named Hugh, and together they have a daughter. Life goes on, the daughter grows up and graduates, and Jessie is burdened by the emptiness of a quiet house. On the morning of Ash Wednesday, the quiet is disrupted by a phone call – Jessie’s mother, Nelle, in a wild moment of insanity (or was it sanity?) intentionally cut off her finger. Did I like the book? Sure. I was curious to know how it would end, how all the knots would be untied. Any time family secrets are revealed I’m always curious to know how characters will respond. It is one of the greatest enigmas of life – how some people can cope and some people can’t. There was a brief moment towards the end that propelled me to say aloud in my car, “Oh please don’t end this way,” and to my relief, it didn’t. There was one more chapter or so to go. The Mermaid Chair is the kind of book I’d assign as a beach read, something light one might take on a vacation. Towards the end of the book I started drawing comparisons between The Mermaid Chair and The Secret Life of Bees. The plots are different, but the themes are much the same. I could even draw some lines between several of the characters. Some similarities were glaring (the sisterhood, the sharp, clever character, the mentally challenged character, the strong flavor of the south) while others were more subtle. These correlations didn’t add or subtract enjoyment of the book, but they gave me pause when considering the two novels I’m working on. Am I drawing one story in two ways? Am I using the same characters but with different names? It’s something to consider. If anything, reading The Mermaid Chair was worth it for that personal challenge alone. Buy The Mermaid Chair here.